I remember watching the old black and white movie from 1937 when I was young. We would stay up just a bit late to watch the weekend features and this was one of many. I have to confess to not recalling that much of the story and reading the book was a great way to refresh my memory. Back then it went along nicely with all the swashbuckler movies of Errol Flynn and Douglas Fairbanks Jr. I always remembered the title and it probably fueled my interest in some of the classics like The Three Musketeers and The Count of Monte Cristo. As the story unfolds we find that Rudolf Rassendyll is telling the tale. It seems that he is attempting to live up to a promise he made to his sister in-law who believes he wastes his life away. He seems to agree, but in a way that says he feels there is little wrong with that or the way he chooses to live his life. It also unfolds that as he tells the story it may be for his own purpose since what he has to tell is best kept as a secret. Rudolf's sister in-law is trying to set him up with a job with an ambassador as an attache. He acquiesces to her pleas to some extent and since that is 6 mos away he decides to set out on a bit of a vacation that turns into quite an adventure. In opposition to the movie version Rudolf seems well aware of the scandal involving the Countess Amelia of the Rassendyll's and Rudolf the King of Ruritania. And the story of how every so often a generation has a child whose features recall those of King Rudolf; striking red hair and long sharp straight noses. So on this adventure Rudolf Rassendyll decides to visit the region close to Ruritania; without telling any of his family. On the train there he sees the alluring Antoinette de Mauban (who later plays a major part in the story), but does not take the opportunity to meet her. After reaching the Ruritanian frontier he decides to get off at Zenda. The first thing that occurs, that is a bit disconcerting, is that people give him a peculiar amount of deference after seeing his face. But when he meets Colonel Sapt and Fritz von Tarlenheim who both serve the king, there is no doubt that his countenance is familiar to both and in their amazement they dawdle enough for him to chance to meet the king (another Rudolf). It becomes clear that the two could almost be brothers and twins at that. As the plot would have it: what transpires next is that the King is incapacitated to a degree (by drugged wine provided by his brother Michael) that he'd be unable to participate in his up coming coronation and that would leave things open for Prince Michael to grab both the thone and Princess Flavia as his own. It's clear that Michael is behind this and the two King's men hatch a plan to have Rudolf Rassendyll take the Kings place while the King--hopefully--sleeps off the effects of the drug. They leave the King (safe) in the hands of the servants and make off to the coronation. Everything goes without a hitch though as can be expected Michael is a bit suspicious. Princess Flavia is aware of some change in her betroth and is pleased by the change; leaving the plot open for the pretender to fall in love. And that's when things get complicated. Michael takes the king as prisoner at Zenda and plots to remove the pretender. He keeps the king alive only because of the pretender and uses him as a means of drawing the three conspirators into a trap. The story is not only the usual swashbuckling adventure but also a bit of tragedy and fits quite well along the shelf with my Dumas novels. The night was dark and very stormy; gusts of wind and spits of rain caught us as we breasted the incline, and the great trees moaned and sighed. Hope, Anthony (2012-05-17). The Prisoner of Zenda (p. 89). . Kindle Edition. It was a dark and stormy night; the rain fell in torrents, except at occasional intervals, when it was checked by a violent gust of wind which swept up the streets (for it is in London that our scene lies), rattling along the house-tops, and fiercely agitating the scanty flame of the lamps that struggled against the darkness. 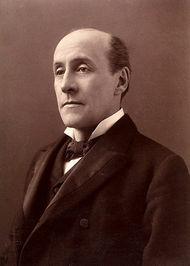 Bulwer-Lytton, Baron Edward (2012-05-16). Paul Clifford - Complete (p. 9). . Kindle Edition. In accordance with FTC Guidelines for blogs and endorsements, J.L Dobias would like everyone to know that while we do purchase our own books for review on occasion, you may and should assume every book reviewed here at My WebSite was provided to us by the publisher or the author for free unless otherwise specified.